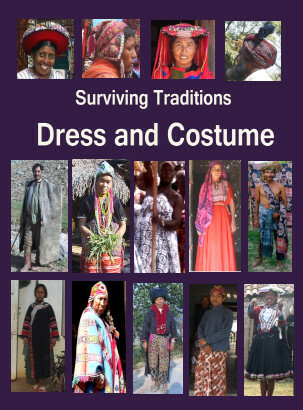 This dvd shows and describes an amazing range and variety of traditional dress and costume still worn today in different cultures around the world: in Peru, Guatemala and Mexico, Thailand, India, Turkey, Indonesia and Ghana. All filmed with the help of the local people. Kanopy have arranged the streaming of all Ends of the Earth titles in university libraries in the United States, Great Britain and Australia and public libraries in the United States and Canada. This is an unprecedented opportunity to view the full range of Surviving Traditions dvds. Just ask for the titles at the library desk.